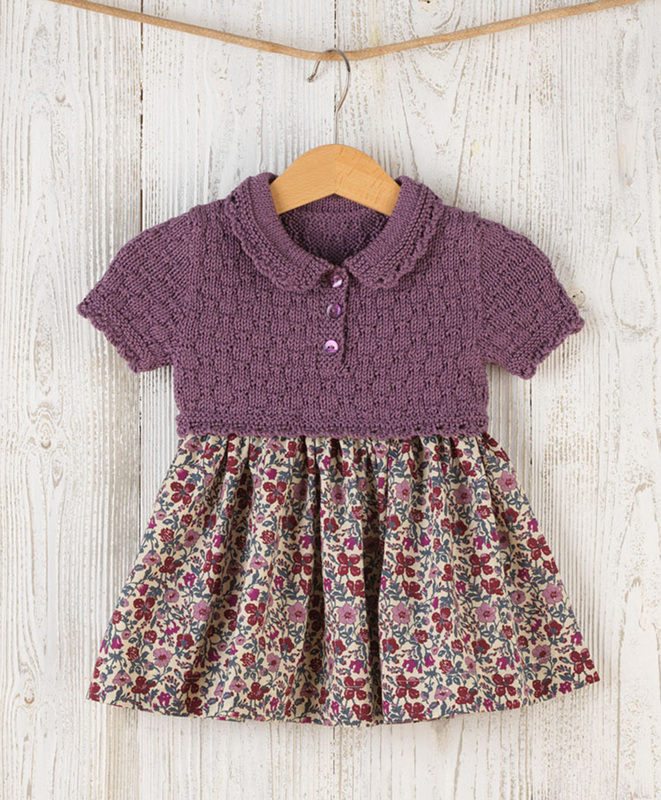 We have a new colour combination for the kits, below is Wren knitted in grape with a skirt in Liberty Tana Lawn meadow. 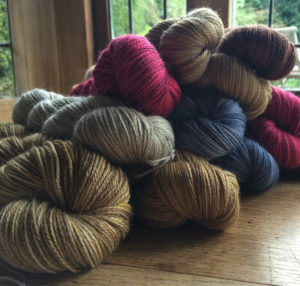 On the website we have four colour combinations for each kit but at a show you can select any style in any colour and we’ll pack it up for you there and then, or Nicola will she’s so much neater than me. 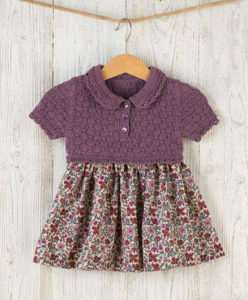 There’ll be samples of all the dress styles and sizes for you to look at. We’re now lucky enough to stock the Klee Collection by Renée Callahan and we’ll have the books on the stall. 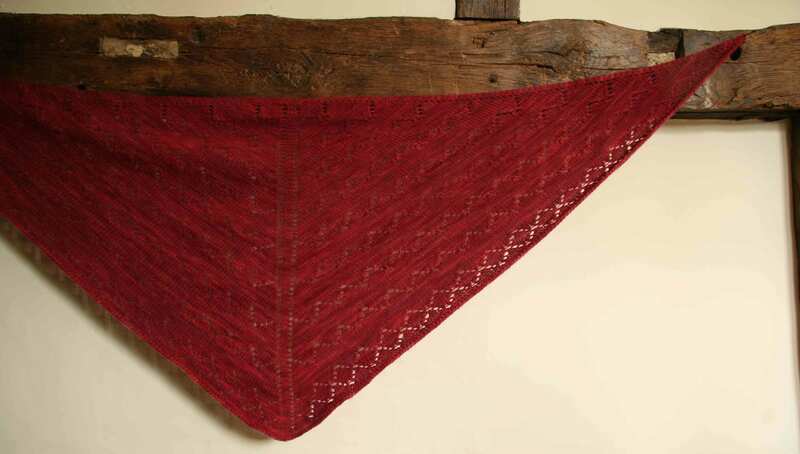 I’ve just finished her Angelus Novus shawl in our Ainsworth & Prin BFL DK in redcurrant, it’s a whopper of a shawl and I couldn’t find any where in the house where I could stand far enough away to get a complete photo so this is the best I can do. It’s a beautiful pattern, easily memorised and very quick to knit. We’ll be taking it with us and possibly fighting over who gets to wear it as it’s lovely to cuddle up in and looks fantastic with a Jul button. It may be cold in the mornings in the hall. 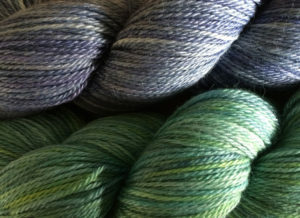 We also have new colours in our hand dyed yarns. 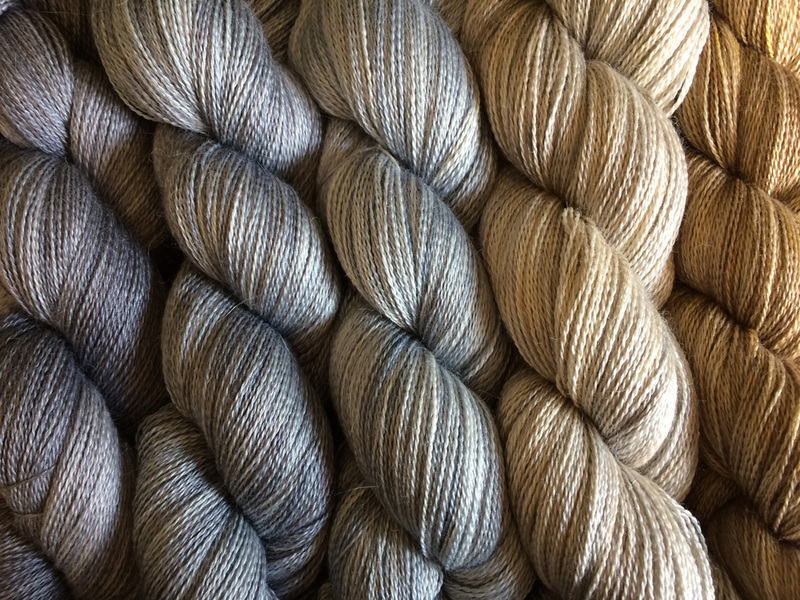 Plus a pile that still need to be labelled and packed. I have to get theses done as Maggie and Colin from Textile Gardens are very kindly taking the boxes up for us. We’ll also have Jul buttons and closures, Chiaogoo and Brittany needles and other yarns and patterns.